John Schumacher, otherwise known as Mr. Schu by his students and Twitter followers, hunts for the best children’s books so you don’t have to. John, a K-5 librarian in Oak Brook, Illinois, reads an average of 2,000 children’s books every year and posts his recommendations on his blog, Watch. Connect. Read. 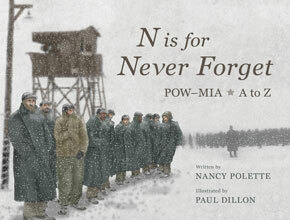 as well as on Twitter, @MrSchuReads. “I love to read. I love children’s books. Those are the books that speak to me the most,” John says from his car, parked outside a children’s bookstore. Watch. Connect. Read. 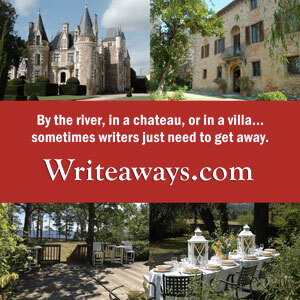 contains video book trailers of upcoming releases, John’s book picks, interviews with authors, and more—all focused on children’s books. “The books I promote are those I feel are the best for children,” says John. Though children aren’t the primary readers of the blog, they benefit because their teachers, librarians, and parents are paying attention. “I hope it leads people to what I call ‘forever books’… the kind of book that will live with you forever, or stand the test of time. Kids will read them in the future and have similar experiences as readers do today,” John says. Author Katherine Applegate and (the real) Ivan the Gorilla signed John’s copy of The One and Only Ivan. One of John’s “forever books” is Charlotte’s Web, a book he remembers his second grade teacher reading to him. Other books that make the cut for him as an adult are The One and Only Ivan, Flora & Ulysses, and The Tale of Despereaux. John has always treasured books, going to great lengths to have them in his possession. In fifth grade, John did something that continues to impact him today—he stole a book. Specifically, he stole Matilda by Roald Dahl from his teacher’s shelf. Since 2002, John has read children’s books almost exclusively. He can count the number of books written for adults that he’s read since then on one hand. In 2007, he joined Twitter and began promoting children’s books and book trailers. One December day in 2010, an Iowa Librarian named Kathy Kaldenberg, suggested he start a blog dedicated to book trailers. He’d been thinking about starting a blog, but this was the encouragement he needed to get the ball rolling. One year later, he got his “big break,” when author Katherine Applegate approached him about premiering the trailer for her book, The One and Only Ivan, a novel about a lonely gorilla in a zoo and an unlikely friendship with an elephant. It led to John becoming an ambassador for The One and Only Ivan, the book that has now made the biggest impact on his adult life. Every year, John does a road trip contest on his blog, where he invites his students to pick a book and he’ll take a plush character from the book around to various literary sites. Thankfully, they chose The One and Only Ivan, which was perfect since he already had the plush toy to take on his adventure. One of the stops on his road trip was the zoo in Atlanta where the real-life inspiration for Ivan lived. John had the opportunity to interview the zookeeper Jody and see Ivan’s bedroom. When the paperback edition of the book was being developed, the publisher asked if he could have one of John’s “signed” books to make a copy of the title page. So now, when anyone buys a paperback copy of The One and Only Ivan, they’ll also receive a thumbprint from the actual gorilla inside. 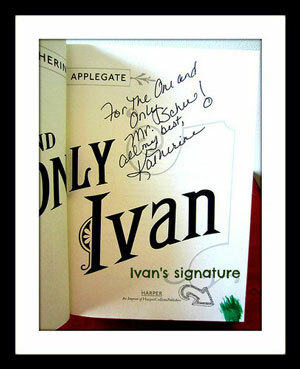 In 2013, Katherine Applegate’s The One and Only Ivan was awarded the Newbery Medal for the most distinguished contribution to American literature for children. Meanwhile, John was elected to the Newbery Committee by his colleagues in the Association for Library Service to Children (ALSC), a division of the American Library Association. In 2013, John served on the committee, reading hundreds and hundreds of children’s books, to select the 2014 Newbery Medal winner: Flora & Ulysses by Kate DiCamillo. John strives to be genuine and authentic through his online presence, keeping his students at the front of his mind whenever he’s promoting books, traveling around the country, or interviewing authors. He recently finished interviewing all the Newbery and Caldecott winners for his blog, and is using stories from these interviews to provide backstory for the books his students are reading. John hopes other teachers and librarians will find his research helpful and add it to their own lesson plans. He often collaborates with a third grade teacher named Colby Sharp for Watch. Connect. Read. Recently, Colby and John held a joint celebration for Dr. Seuss with their classes via Skype. One of John’s students said, “Mr. Schu knows so many people.” To which another kid replied, “Mr. Schu is really famous.” John quickly tried to shut down that idea. “I want them to see me as their librarian,” says John. Advocating for children’s books through his blog and Twitter has become an extension of his vocation as a children’s librarian, where he volunteers hours of his spare time to his mission of sharing good books with kids. To him, it’s all worth it. “We show kids how to be human beings through children’s books,” says John. What could be better than that? 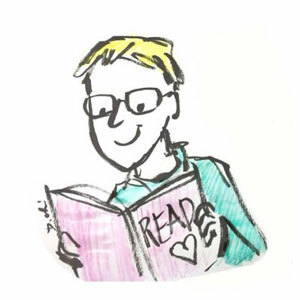 So next time you’re seeking a “forever book” for yourself or a child, check out John’s blog or connect with him on Twitter. Photos courtesy of John Schumacher. 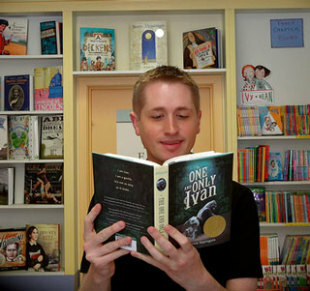 Feature photo: John reading one of his favorite books, The One and Only Ivan by Katherine Applegate. He reads 2,000 children’s books every year. Mr. Schu’s online avatar/Twitter profile image is illustrated by Debbie Ridpath Ohi. My daughter was at The Wellington School when Mr. Schu shared today. The impact was amazing. She can’t stop talking about you and your reading adventures and we are running to the library to check out The One and Only Ivan. Thanks for being a great speaker and full of energy – you certainly passed some of that along to my 8 year old in Columbus Ohio. Last summer, I received money for summer reading and used it to buy every incoming 5th grader a copy of “The One and Only Ivan.” They loved it! I’m looking forward to hearing Mr. Schu at Reading Round-up in Maine next week. I was blessed with being his student for 6 years. I can honestly say he is the best teacher/librarian I’ve ever met. I really miss him 🙁 . He has great things in store for him. I was blessed with being his student for 6 years. I can honestly say he is the best teacher/librarian I’ve ever met. I really miss him 🙁 . Love Mr. Schu, his passion for finding great books for kids and his generosity in sharing his time and energy with authors big and small. 3 cheers for John!!! Mr. Schu is one awesome guy. I’m so thankful that I get to call him a friend. John is the epitome of graciousness. It has been a delight to follow his blog and to see the impact it has made.